Keep up with the latest news and press from the world of Workamajig. Workamajig, the leading worldwide integrated software for ad agencies and others in the creative and design industries, released version 10.5.3.0 of Workamajig, which includes the new Workamajig Labs. 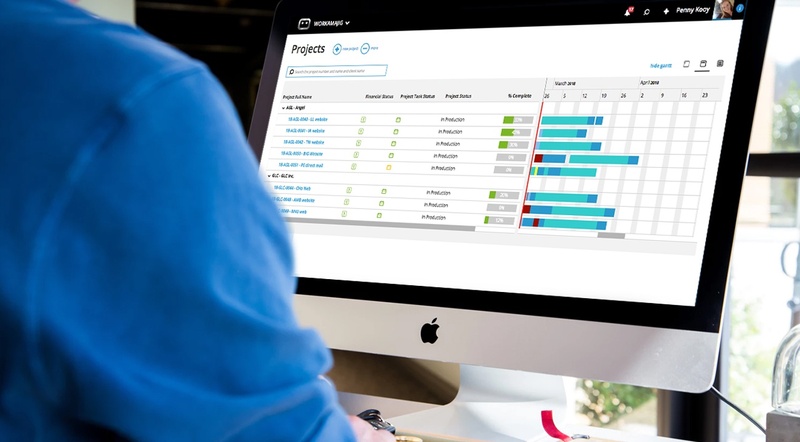 Using client feedback, Workamajig has added a new concept called ‘Workamajig Labs’, where Workamajig will release new features to its Project Management Software, and allow clients to turn these new features on when they’re ready for them. Exhibiting the flexibility of Workamajig, during the Lab period clients can turn the features on and off at will to try out the new features. The administrator can give specific users access to turn them on through the Allow a Person to Enable Labs Just for Themselves security option. Workamajig’s update includes updates for Apple’s Safari web browser version 5, the world’s fastest browser, available for Mac & PC. Building on recent updates for iPhone and Safari for Mac & PC, Workamajig continues to improve their Advertising Agency Software with every quarterly release. This release continues to build on the major foundation upgrade that Workamajig made to its Ad Agency management software, addressing interface improvements based on years of research, client interviews and user feedback. All improvements are a direct result from intensive field testing and direct client feedback from actual users of the Workamajig Creative Management Software. As always with Creative Manager Inc.‘s products, no installation or conversion are necessary, and all updates are at no cost to the over 21,000 users of Workamajig. All client logins and vendor logins are always free. Workamajig continues to invest, adding new features that work with Apple’s latest Mac OS X Snow Leopard 10.6 Unix-based Operating System and Microsoft Windows. Workamajig® goes beyond costing to offer full Project Management, CRM, Digital Asset Management, billing and accounting, and Extranet capabilities. Workamajig, is the only Ad Agency software and Project Management Software for the Creative Design industry, created exclusively for design firms, ad agencies, in-house creative/MarCom departments, and creative service firms. It is a web-based integrated project management software and job tracking solution which streamlines the entire firm, from developing new business, to staffing, managing, and executing projects through to accounting and financial reporting. Workamajig is a full-featured, intuitive system which makes project and ad agency management a breeze. Workamajig supports Customer Relationship Management, Document Management, Shared Calendaring, Accounting and much more. Because it is web-based, there is nothing to install and it can be set up in a very short time. It works with both PC and Macintosh from any location over any connection. It may also be installed locally on the client’s own servers. All options include training and support to ensure that clients are up and running quickly. Graphically view your firm’s metrics - manage your firm by the numbers. Free client and vendor access to streamline workflow. The team members at Workamajig have been leaders in ad agency software and project management software for the creative industry and on the Mac OS for over 27 years. They provide their creative clients with the Workamajig software, which works seamlessly with the Mac OS and Windows.